Who doesn’t love a Ruby! 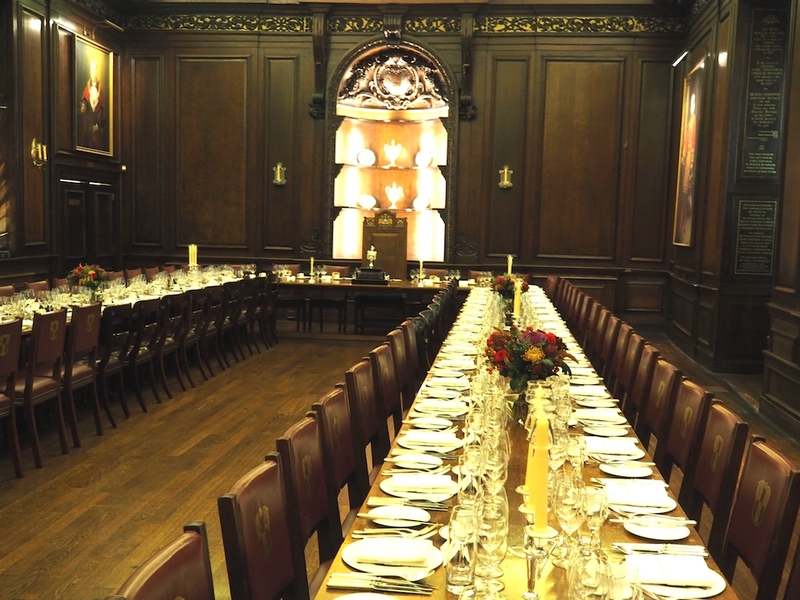 The City University Club played host to the Tylers and Bricklayers Christmas Reception for a number of years before moving to new premises close to Fenchurch Street Station. Its Secretary Hasita Senanayake invited a group of Tylers and Bricklayers to its new premises to sample Sri Lankan cuisine cooked by a chef who had travelled to the UK especially for this event; and a group of curry lovers were delighted to accept. All of these delicious dishes were washed down with beer, the name of which reminds you of a snake! Suffice it to say the Tylers and Bricklayers left the Club fully sated hoping that the Upper Warden (whose family hail from Sri Lanka) will include a Sri Lankan meal at the Club during his year as Master. 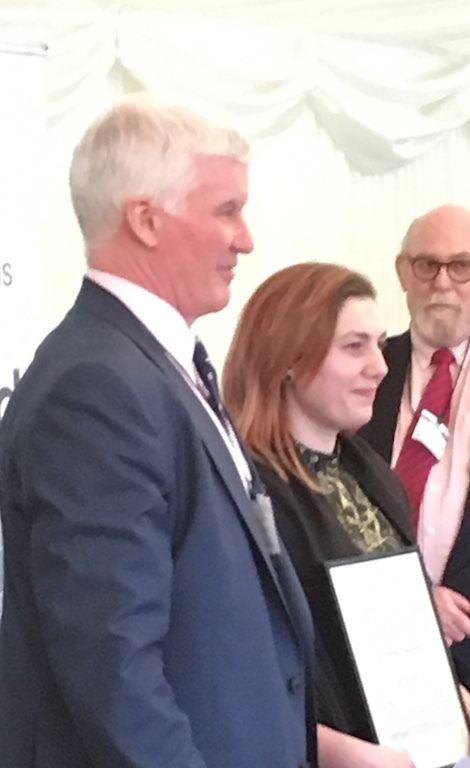 I had the honour of attending the 2018 Young Builders Awards at the Palace of Westminster on 17thOctober 2018 at a guest of Liveryman Livia Williams who is a Trustee of Youthbuild UK. 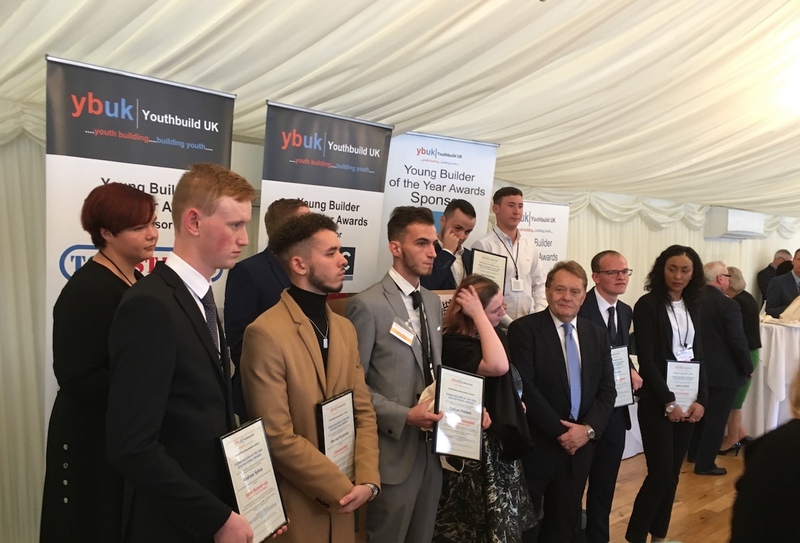 The Youthbuild Awards celebrates the achievements of socially excluded young people who are now making their way in the Construction industry. President of Youthbuild, The Rt. Hon. 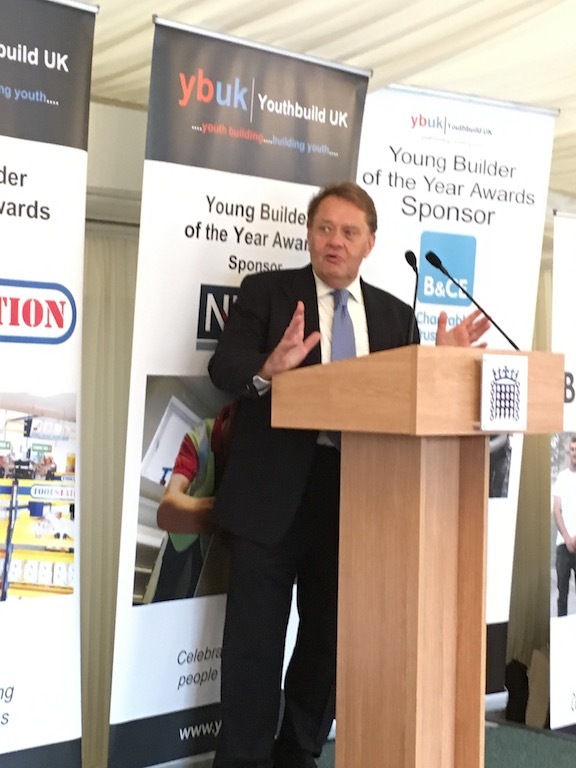 John Hayes CBE MP, Minister of State for Further Education, Skills and Lifelong Learning presented the prizes to two age groups, the first 14 to 18 year olds, and the second 19 to 24 years old. Each of the finalists has had to overcome a myriad of difficulties ranging from mental health, to abuse and illness and it was humbling to listen to the stories of these young people. The winner of the younger age group was Joshua Smith from Bradford and the older group winner was Zinnia Young from Sunderland. After the event all the finalists were treated to a trip on the London Eye before heading back to their homes. The association between the Tylers and Bricklayers and the Framework Knitters Company’s came into being through Catherine Fuller, wife of Deputy Master Jeff, who is a member of this Company. Whilst there is no obvious connection between the two Companies, the fact is that there is; as we both have deep interests in our respective crafts and both have full involvement in the education and training of new entrants. It is also a very friendly Company and is most welcoming to its guests. 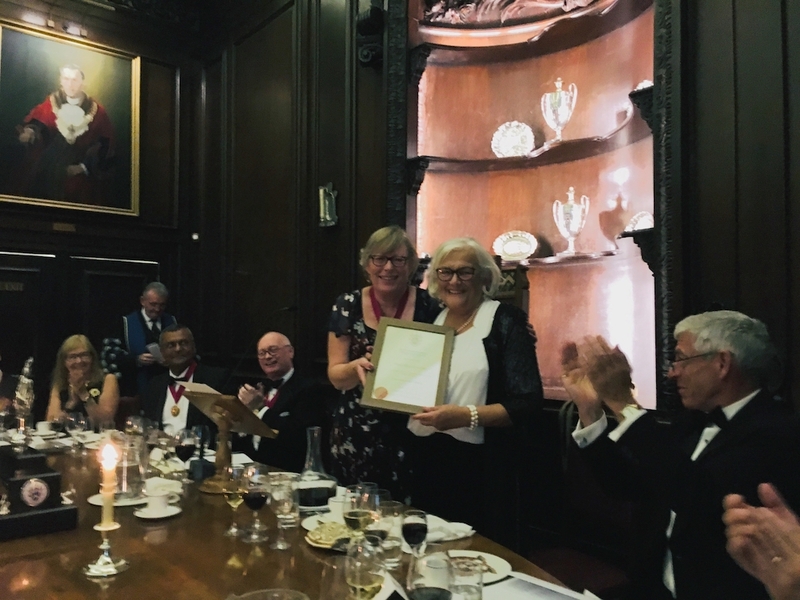 Malcolm and I were delighted to accept an invitation to the Livery Banquet of the Worshipful Company of Framework Knitters at Mansion House on 19thOctober 2018. The Banquet took place in the beautiful Egyptian Hall, although its design probably has more to do with Roman times than Egyptian! I was seated alongside Master Glover, Alvan Seth-Smith, and Peter Green, Sheriff Liz Green’s Consort, and was thoroughly entertained throughout the dinner. After the meal 9 Company Bursaries and 5 Awards were presented to young students who were in the final stages of their degree courses. As well as receiving a prize the winner is allocated a Mentor whose role it is to help the student through the award year and give advice when needed. As a result the textile industry with a continuing flow of well qualified personnel. Guests were entertained by speeches from Professor Julian Ellis OBE, Sir David Wootton and the Master Sheila Turner. 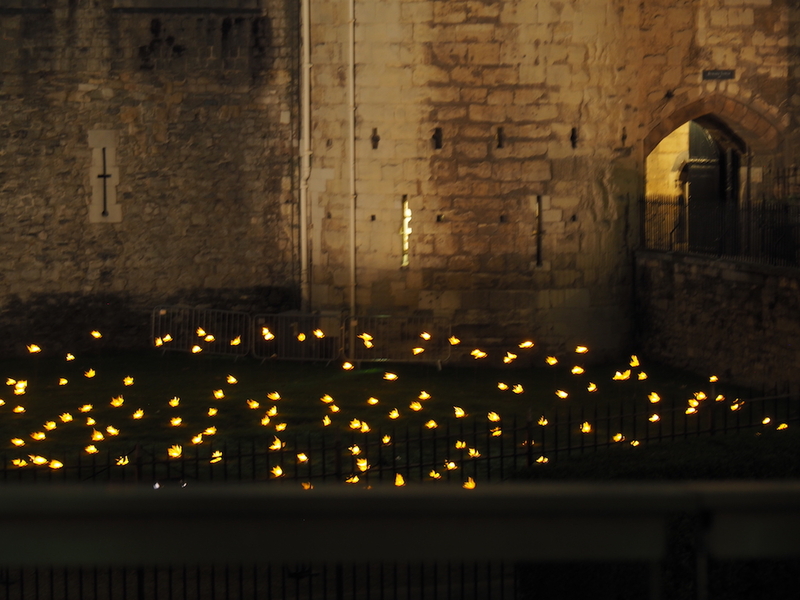 Music was provided by the Band of the Royal Yeomanry. My first event as Master was to attend a meeting of the Construction Liveries Group at Carpenters’ Hall. The Group consists of Livery companies who have an interest in the construction industry and is chaired by Tom Barton. Topics of discussion included the presentation of the Masters Certificates, the Livery Committee Skills Council and the Builder’s Merchants Apprenticeship Initiative. Having worked in the construction industry for nearly 30 years I was pleased to see the commitment of the CLG towards education and training, and to emphasise that construction is a great place to work. Drapers’ Hall was the venue for the Installation Dinner of the new Master Constructor Mike Parrett, and Malcolm and I were delighted to be part of this special occasion. Drapers Hall was bought from King Henry VIII in 1543 for the sum of 1,800 marks (approximately £1,200). This had been the house of Thomas Cromwell, Earl of Essex and Chief Minister to Henry, but had been forfeited to the King on Cromwell's execution in July 1540. We were delighted to meet Master World Trader Alderman Professor Michael Mainelli and Master Turner David Batchelor during the course of the evening. 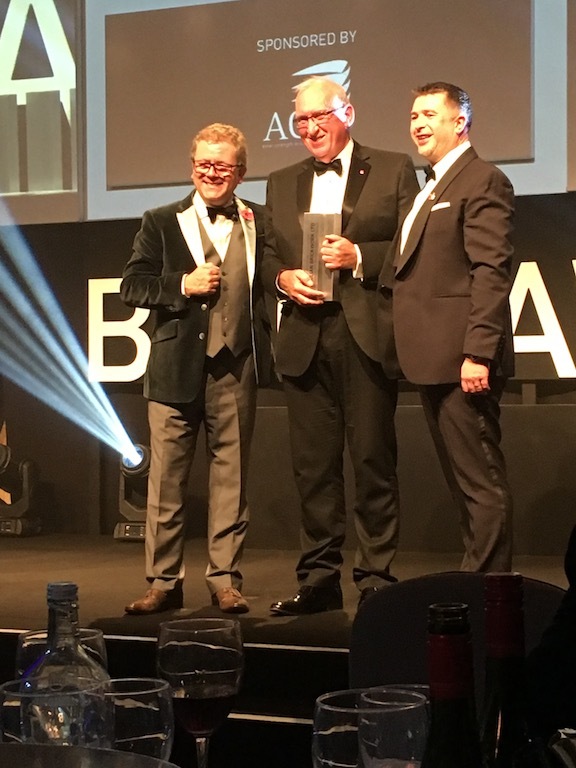 The guest speaker Keith Exford CBE, a good friend of the Master not only regaled guests with stories of their past lives, but also talked about the housing sector. We wish Master Mike and his Consort Jessica a wonderful year ahead and we are sure our paths will cross again over the coming 12 months. You may wonder if there is any connection between a skills competition for our three crafts of tiling, roofing and bricklaying and marketing, but if you think about it there is! The Tylers and Bricklayers Company are supporting the tiling candidates as they work towards the 2019 World Skills Competition taking place in Kazan. This Skills competition along with the UK version of WorldSkills Live showcases all that is best about young people progressing through their training in their respective craft. World Skills Live will also be promoting careers, running seminars and have a go areas in a myriad of skills and crafts. To market the event World Skills are busy using digital marketing techniques, such as Twitter, Facebook and Instagram to encourage visitors to the event taking place at the NEC in November. On the same day as meeting with World Skills Live I went along to a seminar run by the Worshipful Company of Marketors where Guy Daniels talked about Digital Marketing in the 21st Century. He reminded his audience that the core skills of marketing i.e. know your customer, know your product or service and create a connection with your current and new customer using the KISS approach. As we move towards a digital world he went on to explain the role of Artificial Intelligence (AI). In simple terms he reminded us that when we go online to sites such as Google, Facebook or Amazon, algorithms within their software note what we search for or buy, and then make suggestions of what we may like to buy or subscribe to. Whilst we may think this is very clever and buy their suggested products or services there are some ethical issues which have to be addressed. Does AI know more about us than we know ourselves being a case in point! Going back to World Skills, the organisers know their customer base is mostly young people looking for potential careers and promote the event to them via social media. Live feeds will be available to view the event, whilst for us older folks a visit will be of interest. All round a good example of marketing! 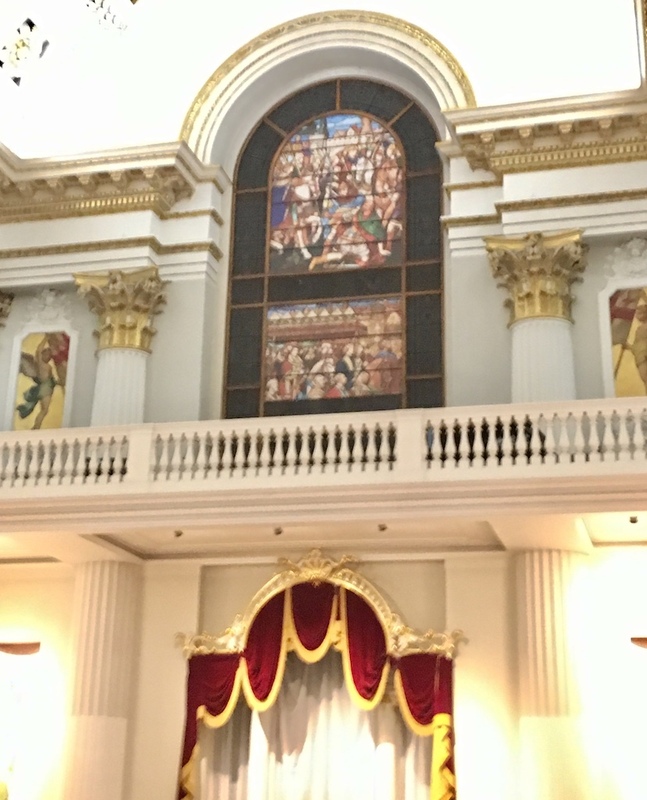 I was honoured to attend the annual prize giving of the City of London School for Boys at Guildhall along with other representatives from Livery Companies who support the School through bursaries or prizes. The Great Hall of Guildhall was filled with prize winners and their proud parents, students and teachers and guests such as me. Sir Andrew Parmley, Lord Mayor in locum tenens, the two Sheriffs and their consorts took centre stage with the Chairman of the School Governors. After a welcome by the Chairman of the Governors, Head of School Rahul Shah gave a speech in praise of John Carpenter who initiated the school back in the Middle Ages. Rahul spoke with such confidence and eloquence that you could forget he was still in his teens! The School Head, Mr Alan Bird then took to the stage to address the audience. 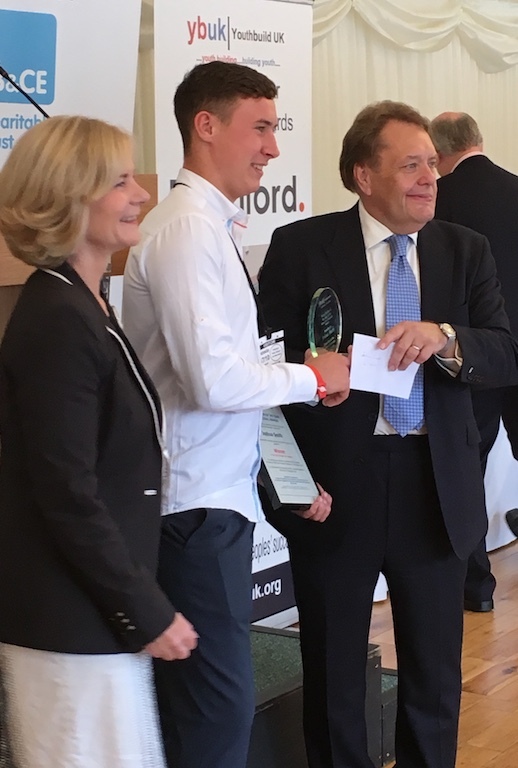 There were many prizes to hand out, and the winners of the Worshipful Company of Tylers and Bricklayers Noreen Dickins Prizes were David Gringras, Isaac Gruber, Raphael Mizrahi, Rahul Shah and Alexander Teeger, are to be especially congratulated. 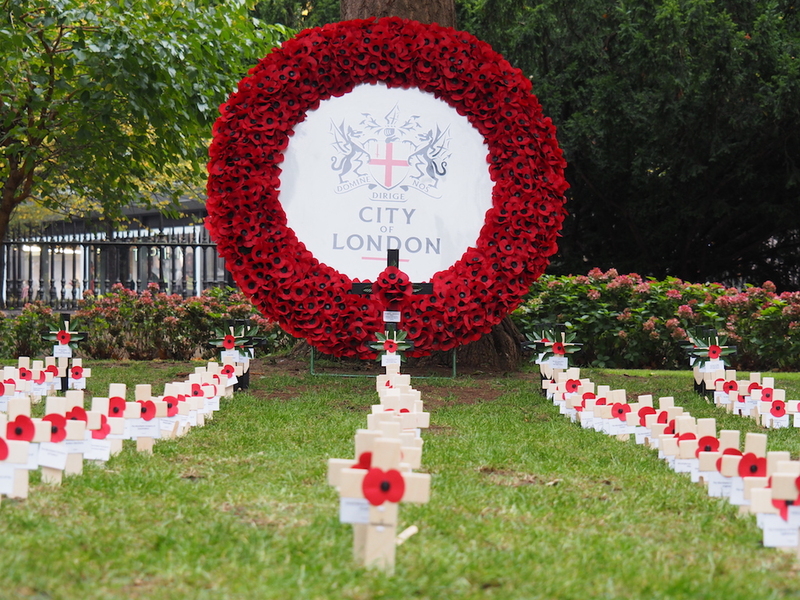 The Chamber Choir marked the 100th anniversary of the end of World War 1 by singing “The Soldier” whose words reminded us of Rupert Brookes poem “If I should die, think only this of me” and In This Place. The angelic voices of the altos will stay in my memory for years to come. Sir Andrew Parmley addressed the audience with his usual humour before the Prize Giving came to an end and a welcome cup of tea was provided for all the guests!